Download Business Card Mockup Template Free PSD. A free Business Card Mockup Template PSD for showcasing your business card design in style. Use this mockup to present your business card designs. Business Card Mockup Template PSD can be used to display your clients or your own personal branding. Mockup is high quality with fully layred and easily editable. You can change the background color via smart objects. To add your designs just replace the content of the smart object. You can experiment with different backgrounds or add custom textures etc. The background can be changed. light settings can be changed. This Business Card Mockup Template PSD freebie makes your work easier and by changing the content of smart object with your design you will get your desired result in few seconds without worrying about placement and perspective. Also Business Card Mockup Template Free PSD look stunning with subtle glossy touch which makes them look attractive and more appealing. You can always give your client choices to choose from using business card mockups available on psd.graphics and this Business Card Mockup Template Free PSD is the best option for to go with. This Freebie is going to be very useful for your PSD mockups collection as well. Free Business card mock-up based on smart objects. You can easily place your design, change colors or replace background easily. Your design will be visible on the top as well as inside the stack. If you like you can download and use this Business Card Mockup Template PSD freely. Anyway, hope you guys enjoy it and i hope this will help you benefit your project as well. Do not forget to Share if you found this helpful. All in all this Business Card Mockup Template Free PSD has a modern and elegant look. This layered PSD resources comes with Easy & customizable PSD file arranged in groups and named perfectly which can save the time to create your own mockup. 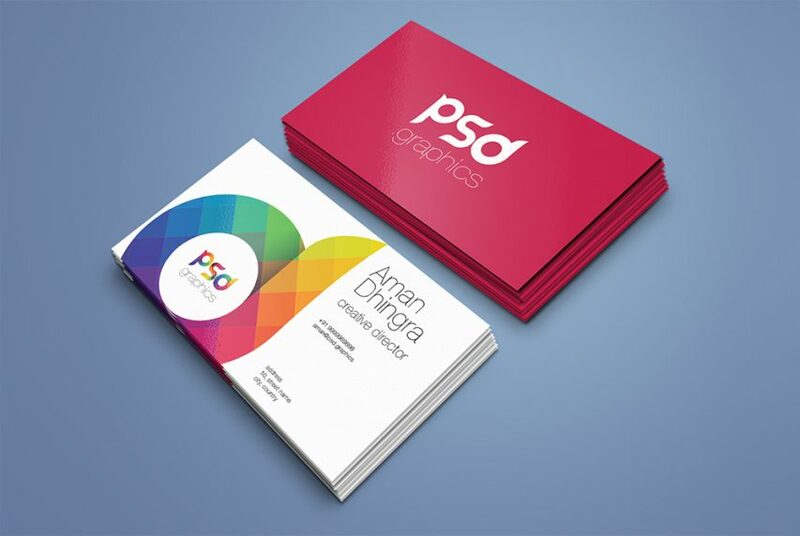 You can modify this Business Card Mockup PSD. However you are free to use this Free PSD in your personal and commercial projects. If you are using this file please give some credits to psd.graphics Hope you like it. Enjoy! One Response to "Business Card Mockup Template Free PSD"